Travel the world- for $380,000! BTW- that's for a *used* one! I've been looking at taking some time off as a mini-retirement to travel. Maybe even Central America this time. I was thinking old Nissan pickup with a cap, but this is much more comfortable. Heck, if I had $380,000 more in my nest egg, I'd never have to work again! Some people here would retire permanently on that alone. Re: Travel the world- for $380,000! This part makes it even better. In fact, 27 EarthRoamer owners have bought two or more EarthRoamers, eight have owned three or more EarthRoamers, and two owners are on their fourth EarthRoamer. I'm pretty sure every single vehicle I've ever owned cost less than a single new Unimog tire. But hell, if you want to go fishing for two weeks, I guess you have no choice. Noticed the EarthRoamer uses a sequential numbering system and one of the SOLD used ones is #132. Conservative assumptions that these are $400k new and only 132 have been sold, they have grossed $52.8 million selling these. Meh. That one is ok, but I hear next year's model will be even bigger/better/faster/more. 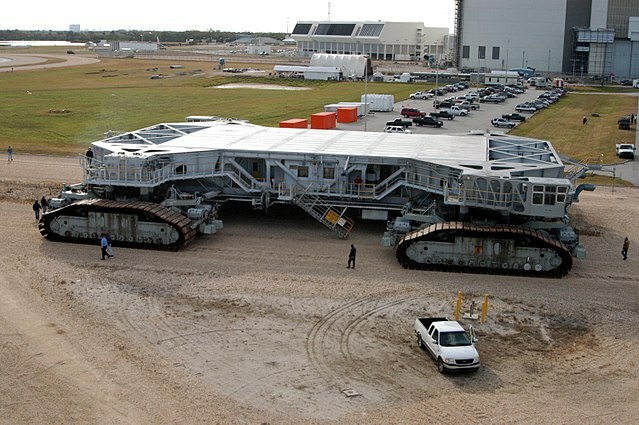 That one's good, but what if you need to bring your space shuttle with you? That's when you need something like this. Go anywhere as long as you go less than 55 mph :) At least that's what I've heard due to the extreme gear reduction even in two wheel drive. edit: Wow they say their unimog can go 70mph. That's surprisingly fast. If I wanted a fully reliable camper rig, I would start by buying an m1010 (that is the GM military ambulance) for 2-5K, put 5 to 10K into restoration and put another 10K into creature comforts. One could get a reliable go anywhere offroad expedition vehicle for the same price as a pavement queen 1/2 ton pickup at a dealership. Yeesh- when I saw the subject line (and the PRICE) I imagined a purpose-built specialty vehicle, not a tarted-up Ford pickup. For mid six figures, a real EarthRoamer should both float and fly. Did you notice the granite worktop in there ? I just bought a small piece for my kitchen and my god it's heavy . 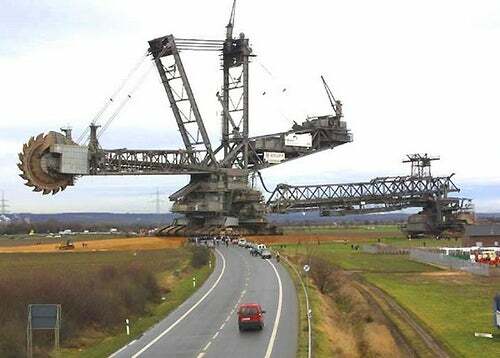 Imagine similar weight of steel plate . It must do wonders for M.P.G. lugging that thing round all day. I imagine the range is quite limit because it has to have horendously bad fuel efficiency. So you can roam, but not really all that far from a gas station that sells diesel. Are there many places you would take one of these where would be necessary? Surely a decent 4x4 with some sort of cabin on the back will tackle 99.9% of the expected terrain you'd encounter on a world trip. The other 0.1% could be avoided by driving a bit further in one direction. Get out of here with your common sense! waht the what? It's a Ford pickup truck ($50k?) with a tiny camper thing on the back. Why in the world is it 400 grand?? Now that truck/camper did have everything ! Jeez, I clicked on this thinking it was at least something nice, like a small yacht! But, no. You can't even ford a decent river. Everyone knows a good rig should be able to deal with volcanoes and lava. We're messing around with an older 1970s variety Westalia. YouTube seems to be full of people with broken down vintage VWs which is silly b/c if you spend the time to learn how to make quality repairs with quality parts, you'll never be stranded. All of my surprise broken down episodes were due to cutting corners on maintenance or parts quality. I've seen SO many of these videos where people are traveling in a van not really ready to travel across the state let alone the country or continent. There is also a failure to understand that their beast has 65 HP and not 165 HP. Got to go slow and be patient, not flog it up and down the mtn roads. Regardless of what you explore the world driving - don't be a clueless driver. Know your beast of burden inside and out. Recognize a problem before it leaves you stranded. Most vehicles make noises or behave badly before they strand you. Its far easier to deal with a vehicle problem in your own driveway/garage than it is to seek assistance far from home. You might need to camp or hotel for a week to get parts if your ride is eclectic enough. Ben, the Kombi-Life fellow shows in his vlog that he was stranded for MONTHS in South America over engine failures. My longest aircooled VW failure lasted all afternoon and into the early evening (toasted clutch for which I carried a spare. Should have been an hour or two to replace myself but I belt an engine stud). The vans came with the same 4WD package. Quite capable of climbing as well. Personally I like the size of a van camper. Don't want to navigate a big RV b/c the big RV can't go the places we like to go. Its kryptonite is water, it can roam as long as it does not hit deep water. Now I kind of want one. If we're coveting Jurassic Park freebies, I'd rather have a small biteysaurus that could, with a small amount of training, be persuaded to ride around in my purse and nip people for grins and giggles. Forget Paris Hilton's purse Chihuahua trend.